Arrive Delhi. Meeting & assistance upon arrival, followed by transferring to hotel for check-in. Overnight stay at Hotel. Morning enjoy breakfast at Hotel. After breakfast, drive further to Agra. On arrival, transfer to hotel for check- in. Also visit Agra Fort, on the banks of the river Yamuna, is the imposing structure replete with priceless examples of craftsmanship in the Mughal period and including the beautiful pearl Mosque which was designed and built by Emperor Akbar in 1565 AD. Morning early breakfast at Hotel and on time transfer to Agra Railway-station to connect train for Jhansi. 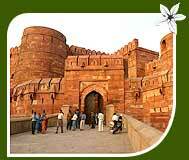 On arrival in Jhansi railway-station, you will be assisted by our Representative and proceed further to Khajuraho. Enroute visiting Orchha. Orchha's grandeur has been captured in stone and frozen in time and is a rich legacy of the ages. The palaces and the temples were built by its Bundela rulers in the 16th and 17th Century. After visiting Orchha, continue drive to Khajuraho. On arrival in Khajuraho, transfer to Hotel. Overnight stay at Hotel. Later enjoy sightseeing of Khajuraho, once the great capital of Chandela, now a quiet town, Khajuraho temples here were built during the Chandela period from 950 to 1050 AD. Almost intriguing as the sheet beauty and the size of the temples is the question of why and how they were built here as Khajuraho is isolated, 1000 years ago as it is even today. 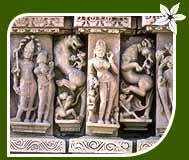 The temples are superb examples of Indo Aryan architecture. Afternoon drive to Bandhavgarh. On arrival, check-in at Hotel. Overnight stay at Hotel. 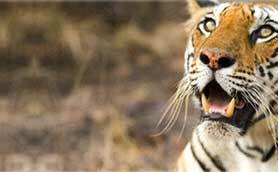 After Breakfast & Lunch, explore the jungle in depth on a Jeep Safari (early morning and evening drives). You can explore the dynamic wildlife, the rich and varied flora-fauna in the park. Overnight stay will be at Hotel. This morning we set out on a drive through forests and tribal villages from one park to the other. 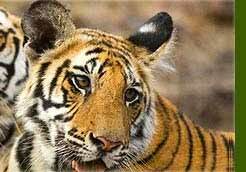 Our drive is deep into the heart of Kanha National Park one of Asia's largest parks. Studded with grassy meadows and rivers, it is a wild country home to a variety of wildlife. The magnificent gaur is one of the main attractions and with a large population of tigers nearby. The bird life is also spectacular here with over 350 species nesting near waterholes. On arrival in Kanha, check-in at Hotel. Overnight stay at Hotel. Early morning enjoy Safari in National Park. After safari, enjoy breakfast at Hotel. Later on time, check-out from Hotel and drive further to Raipur. On arrival, transfer to Airport to connect flight for Delhi. 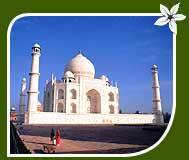 On arrival in Delhi, you will meet our Representative and transfer to Hotel. Overnight stay at Hotel. Enjoy the breakfast at the hotel to welcome the fresh day in Delhi. Around 09:30 am, meet with the tour guide, prior to the sightseeing in Old and New Delhi. When pass through alleyways, it seems getting narrower and we end up at the Jama Masjid which is the largest Muslim mosque in India. You can also enjoy the Rickshaw ride crossing the streets in Old Delhi. Finishing the visit in Old Delhi, let's head to New Delhi. Continue our visit to Qutab Minar, National Museum with curator and India Gate, a 42 meters archway built for memorial of Indian soldiers killed during the First World War. Watch the famous War Memorial Arch and see the contrast between old and New Delhi.